Experts commenting on the recent stand-off between India, Bhutan and China with regard to territorial jurisdiction over a part of the Doklam Plateau have said while it is too early to draw or derive definitive lessons from the impasse, India needs to be wary of China's coercive tactics. In an article published in the warontherocks.com website, Oriana Skylar Mastro, Assistant Professor of Security Studies at Georgetown University, and Arzan Tarapore, Adjunct Researcher at the Rand Corporation, said, "The crisis is only just being de-escalated; it is too early to derive definitive lessons from Doklam. However, a few policy implications are already apparent."
. China will continue the combination of consolidating its physical presence and engaging in coercive diplomacy, law-fare, and media campaigns unless it is stopped directly, as was done by India. India directly blocked Chinese efforts to change the status quo. Both Mastro and Tarapore, however, caution that denial in other areas would require different military tasks, as for example, in the Indian Ocean, it may involve anti-submarine warfare and maritime domain awareness.
. Both caution that while denial strategies may be effective, they have their limitations. Denial is inherently risky. Countering China's existing methods involves risks of escalation - which most smaller adversaries, and at times even the United States, are unwilling to accept. "Denial strategies can only serve to halt adversary action, not reverse what the adversary has already done. As Doklam shows, India could convince China not to proceed with its road-building, but China did not relinquish its claims or its established pattern of presence in the area. Denial by itself offers no pathway to politically resolving the crisis."
. The agreement to disengage suggests that Beijing's position in crises can be flexible, and perhaps responsive to assertive counter-coercion. Domestic audiences, even those in autocracies, often prefer sound judgment to recklessly staying the course. "If the Doklam standoff had escalated to a shooting war, anything short of a decisive victory might have put (President) Xi Jinping in an unfavorable position at the 19th (Communist) Party Congress and hurt the PLA's (People's Liberation Army's) image with the Chinese people," Mastro and Tarapore said. Beijing, they said, will project the disengagement agreement as further proof of Chinese strength, especially relative to India. "As the stronger power, China could magnanimously agree to a mutual disengagement for now, while reserving the right to move forward when it sees fit," they said, adding that New Delhi needs to be aware and cautious about this particular eventuality.
. The Doklam agreement, even if it is temporary, tells us that when China confronts a significantly weaker target, such as Bhutan, it will only be deterred by the actions of a stronger third party - in this case, India. "Had India not acted, China would likely have been successful in consolidating its control and extracting territorial concessions from Bhutan. Third-party involvement may not be as easy in other cases. India had a privileged position in Bhutan. Such a strategy may also have significant second-order effects. In the near term, it is potentially escalatory. China argued that India has no basis for interfering in this bilateral dispute, and had many options for escalating the crisis at a time and place of its choosing," they said. They further warn that such third-party involvement could intensify geopolitical competition between China and other powers such as the U.S. or India, if they intercede in other countries' disputes with China. The lesson of Doklam for the United States is that arming small states and imposing incremental costs may not be enough. Washington may have to accept the greater risks associated with intervening more directly if it hopes to counter Chinese expansion in East Asia. Asserting that the India-China relationship remains tense, and prone to military risk, especially if China seeks to reassert itself after the perceived slight at Doklam, both authors warned that it could include an incursion somewhere along the Line of Actual Control (LAC) or China might pursue a "cross-domain" response, for example, with punitive cyber attacks or threatening activity in the Indian Ocean. The Doklam standoff should be a reason for India to pour more resources into defending its land borders, at the expense of building capabilities and influence in the wider Indian Ocean region, they said. "Two nuclear-armed powers have stepped back from the brink - for now. 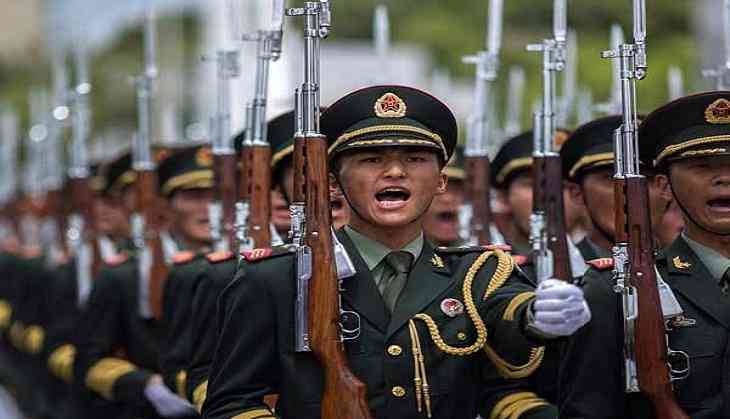 India and China announced they had agreed to end a two-month border confrontation, in which a few hundred troops had faced off in the Doklam area claimed by both China and Bhutan, and many thousands more had been placed on heightened alert," the article read. The immediate crisis seems to be over, but it offers tantalizing insights into Chinese coercive strategies and how they may and can be thwarted.